The recently released Cadillac ATS-V is a powerful sport sedan (or coupe) that has taken on the Europeans at their own game and proven itself as a worthy competitor. Fast, agile and luxurious the ATS-V enters 2017 with some minor changes to the infotainment system and an additional trim option, no need to mess with a winning formula. 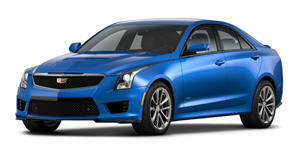 The ATS-V builds on the quality cabin found in normal ATS models with numerous upmarket materials and finishes. Stitched leather seating, soft touch plastics and a range of color choices make for a very luxurious interior. The dashboard design is somewhat behind the times compared to the latest European offerings and the infotainment system is could do with further refining to improve its usability. Occupants in the front will appreciate the supportive and comfortable standard seats, optional sport items add even more lateral support but may not suit larger adults. The rear is a tight fit in both the sedan and coupe, the narrow bench and angled roofline make longer trips an uncomfortable prospect for taller occupants. The cargo area too is less generous than in rival offerings although there is an available split-folding rear seats in the sedan which is standard in the coupe. A slightly frustrating touchscreen and tight rear accommodation pale into insignificance when a car handles and drives as well as the ATS-V does. The sport tuned suspension keeps it planted when being pushed to its high limits and the big Brembo brakes haul it up with eye-popping ferocity too. Steering and pedal feel are both good and the ATS-V offers relentless thrust right to the redline from its twin-turbocharged engine. Thanks to the standard magnetic ride control, it handles bumps and broken tar with far more finesse than you might expect although to explore this car’s limits safely (and legally) you will need to take it to your nearest race circuit. In which case the Track Performance Package would be a good option to tick, but more on that below. 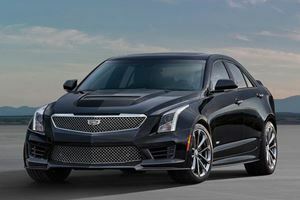 The Cadillac ATS-V is available solely with a 3.6-liter twin-turbocharged V6, pumping out 464 horsepower and 445 lb-ft of torque you get the option of a 6-speed manual or 8-speed automatic transmission. 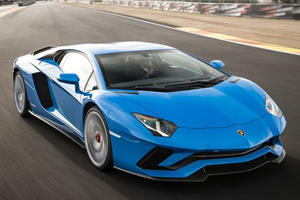 The manual gearbox has a no-lift shift feature and active rev matching. Power is sent to the rear wheels through an electronic limited-slip differential that tries to keep things pointing in the right direction. The claimed 0-60 mph time of 3.8-seconds is quicker than benchmark rivals like the BMW M3/M4 duo and Mercedes-Benz C63 and the 189 mph top speed betters the German’s self-imposed 155 mph limits too. The ATS-V is available as either a sedan or coupe and both body styles come in one very well-equipped trim level, albeit with some minor differences. In line with its sporting aspirations, sport suspension with magnetic ride control, heated front sport seats, three driving modes including a track option, electronic limited-slip differential and uprated brakes are all standard. Standard safety levels are comprehensive too, the Teen Driver Program allows parents to keep a watchful eye on what antics their teenagers get up to although letting them loose in the ATS-V may constitute irresponsible parenting in itself. A passenger sensing system, front and rear park assist and rearview camera are also included. A Track Performance Pack includes a data logger to help assess and improve lap times, a confident move from Cadillac and clearly a sign that it believes in the engineering integrity of the ATS-V. The Safety and Security Package adds adaptive cruise control, head-up display, blind spot monitoring and various other driver alert systems. Standard luxury features include leather seats, keyless ignition, 8-inch CUE infotainment system with 3 USB ports and Smartphone and Bluetooth connectivity. There is also a Bose audio system and satellite radio with OnStar Wi-Fi hotspot capability. An additional Luxury Package (Navigation, Bose premium audio system) and Carbon Fiber Package are also available. Cadillac has responded to the usual European complaint that Americans can’t build a fast car that can also handle corners by introducing the ATS-V which can run rings around the best they have to offer. Class-leading acceleration and sharp handling are its strong points although the cramped rear seats and small cargo space make it less practical than its competitors. 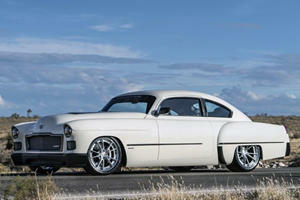 As well as two 1948 Cadillac fastback coupes. The 2016 sales numbers speak for themselves. The answer is always "throw an LS1 in it!"